The National Hockey League yesterday named Brian F. O’Neill of Montreal as its new Administration Manager. There were immediate suggestions that O’Neill is the heir-apparent to Clarence Campbell as the NHL president. He will, in effect, be my understudy and will learn all phases of the operation of headquarters. O’Neill was previously the business manager of the Financial Times. The Times is a Canadian national financial newspaper and part of the Southam group of papers. He was responsible for all operations of the newspaper outside of editorial. He supervised circulation, sales promotion, production and space sales. O’Neill has a Bachelor of Arts from Loyola College and a Bachelor of Commerce from McGill University. He is no stranger to hockey, having played right wing for the McGill Redmen. He also played high school football. A member of the Ontario Legislature yesterday called for an investigation into the National Hockey League. Kenneth Bryden (NDP-Woodbine) demanded an investigation of the “mandarins” of the National Hockey League. “This clique of monopolists have decreed that the flourishing and highly sports-minded city of Vancouver is not fit for inclusion in their league. Ken Broderick made his pro debut with Vancouver Canucks. 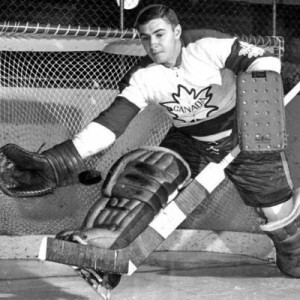 Ken Broderick, goalie for Canada’s national hockey team, made his professional debut with the Vancouver Canucks of the Western Hockey League last night. Broderick put in a flawless performance as the Canucks dumped the Quebec Aces of the American Hockey League 6-2. Broderick made 28 saves to lead the Canucks to an upset win over the Aces, who lead their AHL division by 20 points. Dave Duke led the Vancouver attack with two goals. Singles came from Billy McNeill, Bruce Carmichael, Larry Cahan and Ray Brunel. Quebec marksmen were John Hanna and Red Berenson. 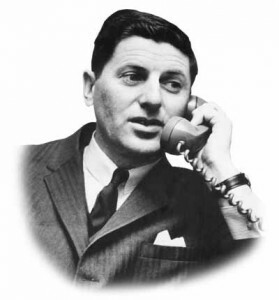 Lorne Green is a director for the new NHL team in Los Angeles. California Sports Incorporated announced the election of a 10-man board of directors yesterday. The corporation was formed to operate the new Los Angeles franchise in the National Hockey League and the Los Angeles Lakers of the National Basketball Association. Jack Kent Cooke, president, and Ralph Kent Cooke were among those named to the board. 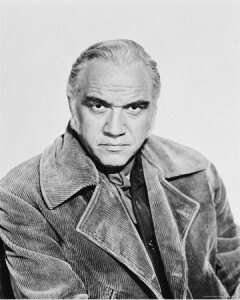 Other members include Lord Thomson of Fleet, a Canadian and British newspaper publisher; television actor Lorne Greene; William Shea of New York and lawyer Edward Bennett Williams of Washington, D.C. The National Hockey League is negotiating with three American television networks in search of a national broadcasting contract. President of the New York Rangers William Jennings said that the three networks are the Columbia Broadcasting System (CBS), the National Broadcasting Company (NBC) and the American Broadcasting Company (ABC). Jennings says that all three networks are very interesting in televising NHL games. Jennings said that the announcement of the NHL’s expansion to six cities in the United States has changed the television landscape as far as the league is concerned. Instead of us going to the networks, the networks are coming to us.